1. Böhler L. The treatment of fractures. A translation of “Technik der Knochenbruchbehandlung im Frieden und im Kriege” by M.E. Steinberg. Vienna, Austria: Wilhelm Maudrich, 1929. 2. Holdsworth F. Fractures, dislocations, and fracture-dislocations of the spine. J Bone Joint Surg Am 1970;52(8):1534–51. PMID: 5483077. 3. Chhabra H.S., Kaul R., Kanagaraju V. Do we have an ideal classification system for thoracolumbar and subaxial cervical spine injuries: what is the expert’s perspective? Spinal Cord 2015;53(1):42–8. DOI: 10.1038/sc.2014.194. PMID: 25384403. 4. Walters B.C., Hadley M.N., Hurlbert R.J. et al. Guidelines for the management of acute cervical spine and spinal cord injuries: 2013 update. Neurosurgery 2013;60 Suppl 1:82–91. DOI: 10.1227/01.neu.0000430319.32247.7f. PMID: 23839357. 5. Крылов В.В., Гринь А.А., Луцик А.А., и др. Рекомендательный протокол лечения острой осложненной и неосложненной травмы позвоночника у взрослых (Ассоциация нейрохирургов РФ). Часть 1. Журнал «Вопросы нейрохирургии им. Н.Н. 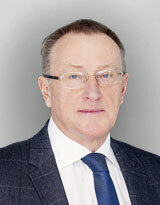 Бурденко» 2014;78(6);60–7. 6. Allen B.L. Jr, Ferguson R.L., Lehmann T.R., O’Brien R.P. A mechanistic classification of closed, indirect fractures and dislocations of the lower cervical spine. Spine (Phila Pa 1976) 1982;7(1):1–27. PMID: 7071658. 7. Harris J.H. Jr, Edeiken-Monroe B., Kopaniky D.R. A practical classification of acute cervical spine injuries. Orthop Clin North Am 1986;17(1):15–30. PMID: 3511428. 8. Argenson C., de Peretti F., Ghabris A. et al. Classification of lower cervical spine injuries. Eur J Orthop Surg Traumatol. 1997;7(4);215-229. 9. Vaccaro A.R., Koerner J.D., Radcliff K.E. et al. AOSpine subaxial cervical spine injury classification system. Eur Spine J 2016;25(7):2173–84. DOI: 10.1007/s00586-015-3831-3. PMID: 25716661. 10. Vaccaro A.R., Hulbert R.J., Patel A.A. et al. The subaxial cervical spine injury classification system: a novel approach to recognize the importance of morphology, neurology, and integrity of the disco-ligamentous complex. Spine (Phila Pa 1976) 2007;32(21):2365–74. DOI: 10.1097/BRS.0b013e3181557b92. PMID: 17906580. 11. Moore T., Vaccaro A.R., Anderson P. Classification of lower cervical spine injuries. Spine (Phila Pa 1976) 2006;31(11 Suppl):S37–43. DOI: 10.1097/01.brs.0000217942.93428.f7. PMID: 16685235. 12. Крылов В.В., Гринь А.А., Кайков А.К. и др. Современные принципы в хирургии травм и заболеваний позвоночника. Журнал им. Н.В. Склифосовского «Неотложная медицинская помощь». 2014;(4):36–41.